" The season may be changing, but the cold still has the power to bite. 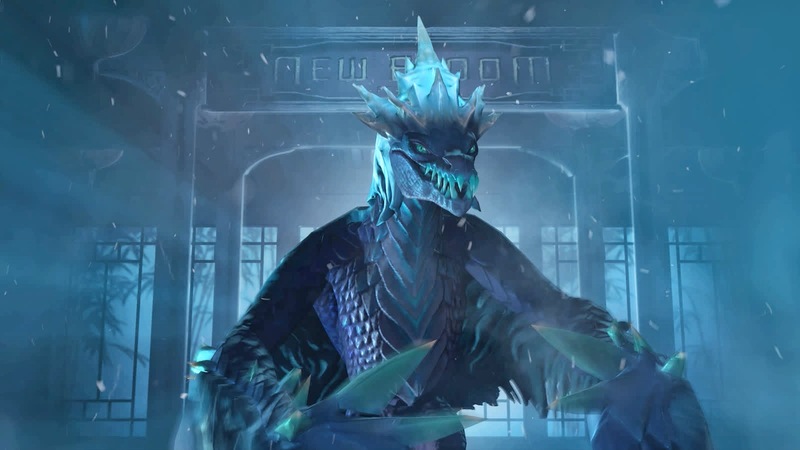 Winter Wyvern has arrived, ready to let you blanket the battlefield in her icy shadow. Take wing to soar over obstacles and sap an enemy's strength from afar, or pierce gathered foes with shards of fragile ice. Or wrap your allies in a frozen cocoon to let them hibernate and heal, while you curse your opponents to turn their weapons on one of their own. With Winter Wyvern on the field, the warmth of spring may never come. " Soar upon an icy gust to fly over obstacles, and strike enemies from afar with attacks that remove a percentage of their health. Encase an ally in a healing cocoon of ice that renders them immune to physical attacks. Freeze an enemy in place and strike those around them with a curse that causes them to attack their frozen ally. 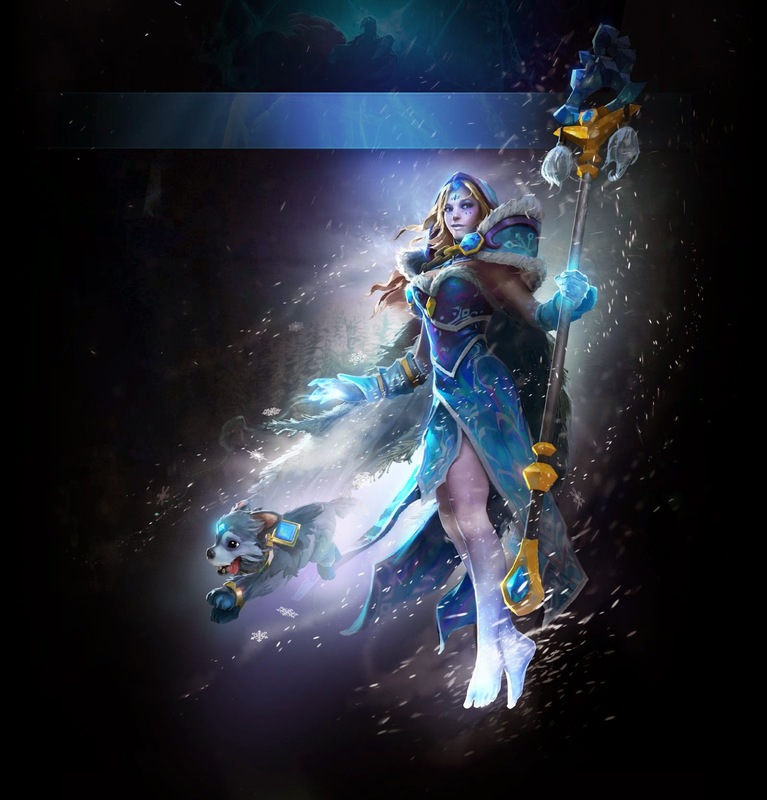 - ARCANA FOR CRYSTAL MAIDEN - Some say the garment began as the wedding gown of an ancient queen. Others say it was once a battle cloak of a frost ogre. In truth, the enchanted fabric is as malleable as an avalanche, and can mold itself into various forms. This form has attracted a lone wolf pup, who has now become a hardy and loyal companion.